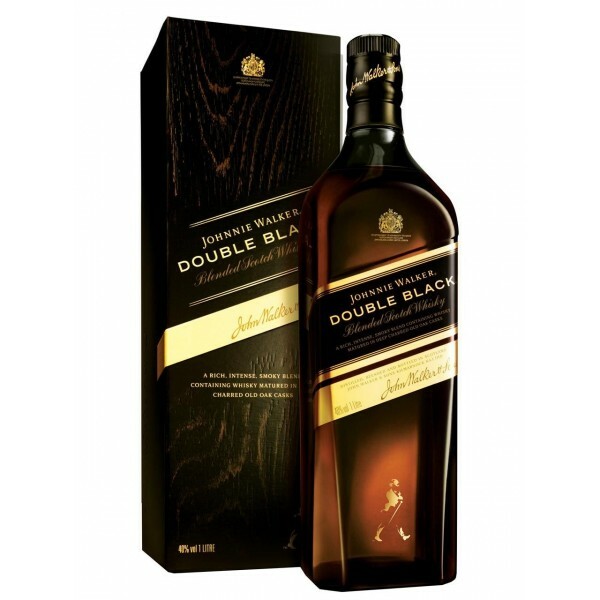 Johnnie Walker Double Black 40% 1L - Golden Trading s.r.o. Crafted for those who prefer a more intense taste, Johnnie Walker® Double Black™ is for whisky drinkers who appreciate a more distinct and sophisticated character. Crafted for those who prefer a more intense taste, Johnnie Walker® Double Black™ is for whisky drinkers who appreciate a more distinct and sophisticated character. The intensity and smokiness is achieved by selecting a combination of the more powerful west coast malts that are naturally smoky and rich in character, with those matured in deep charred oak and harnessing them to create an exceptional result.